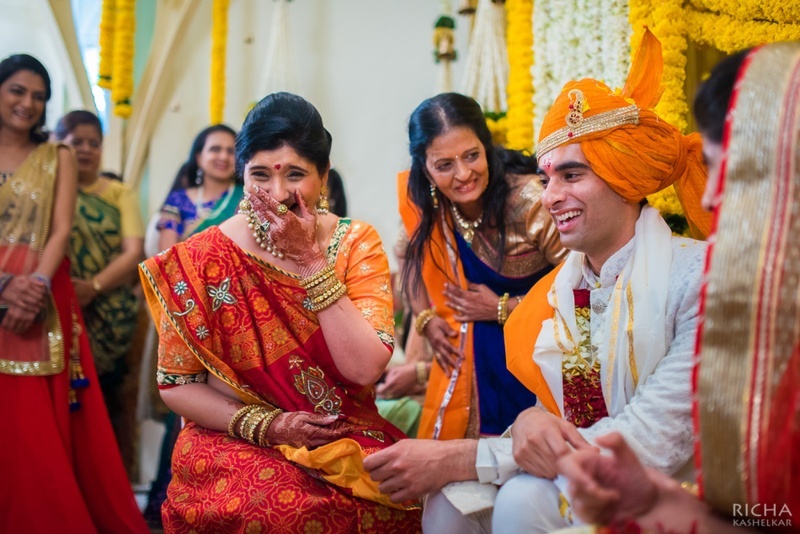 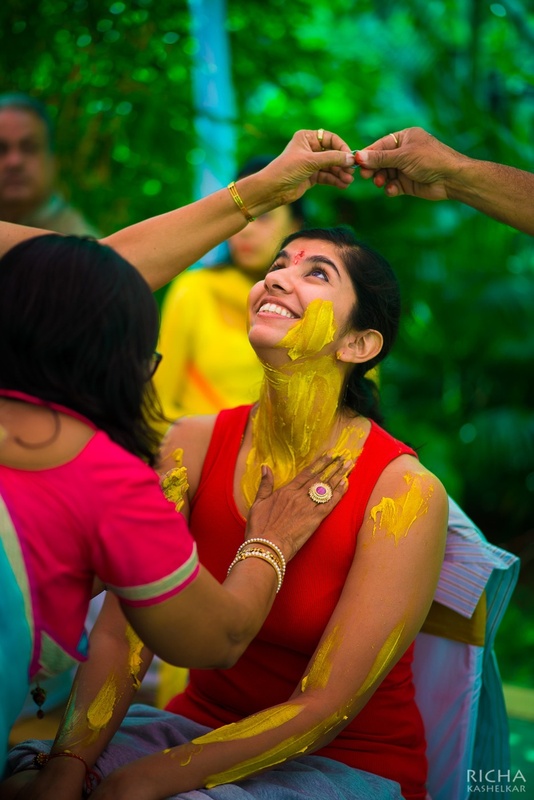 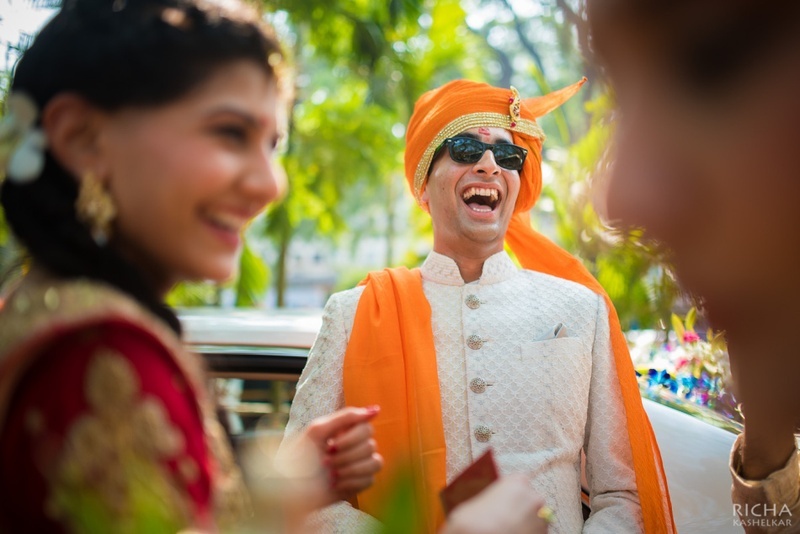 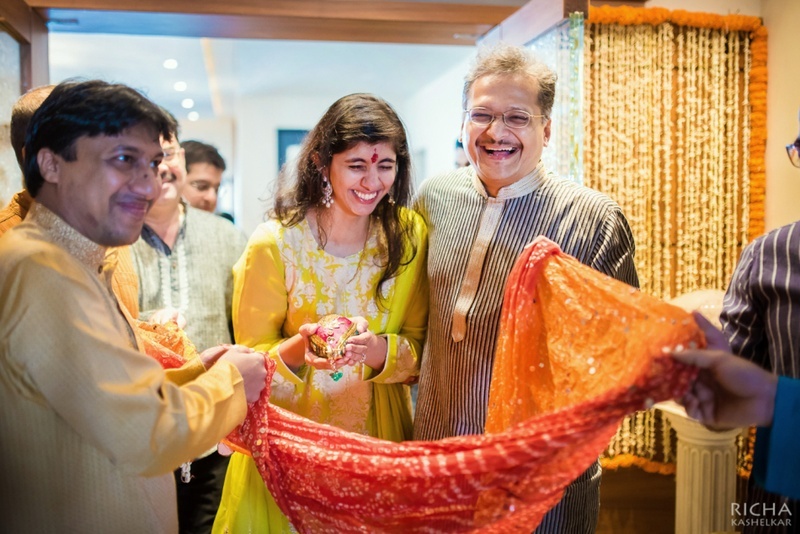 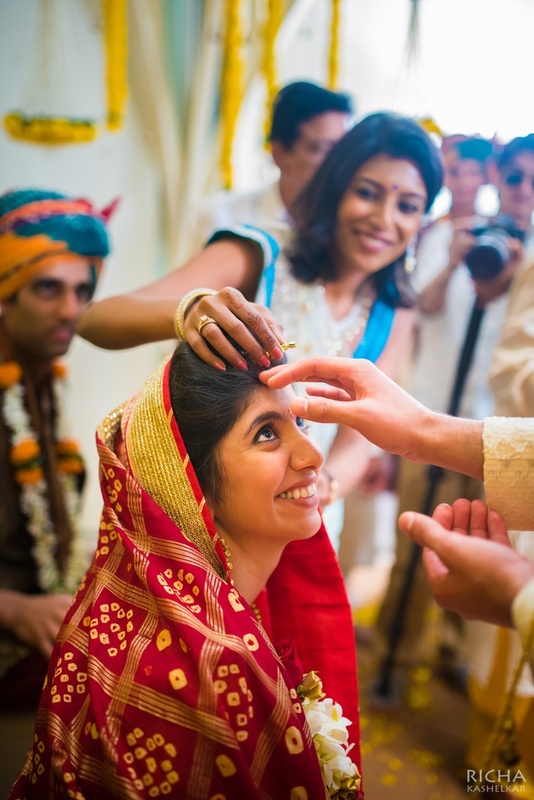 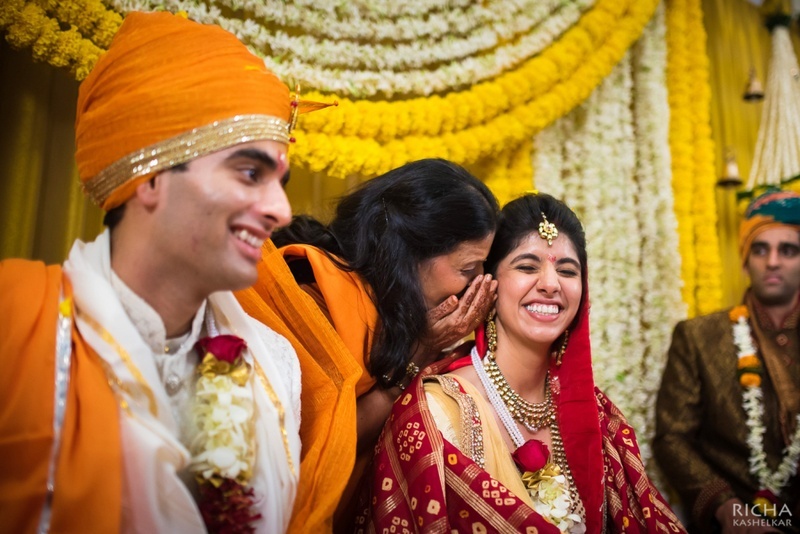 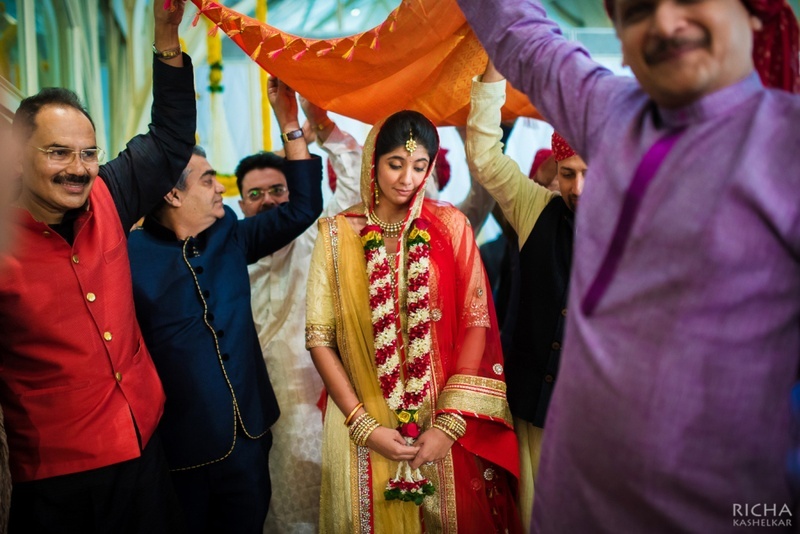 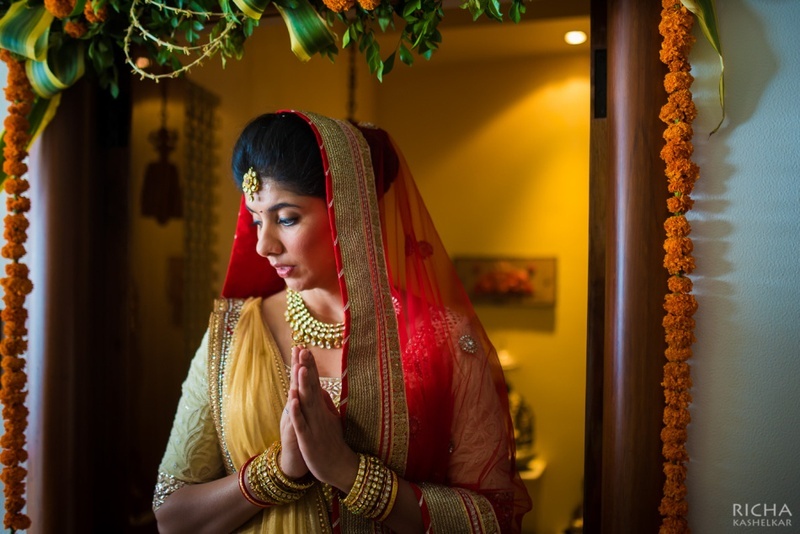 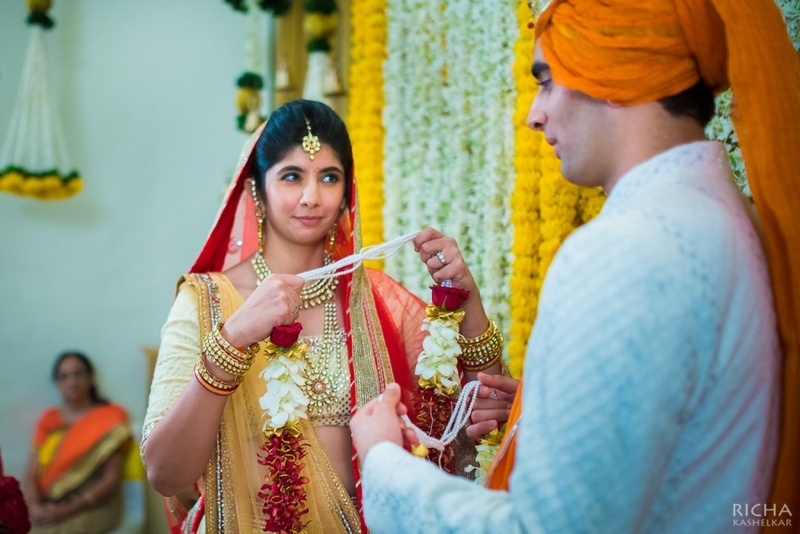 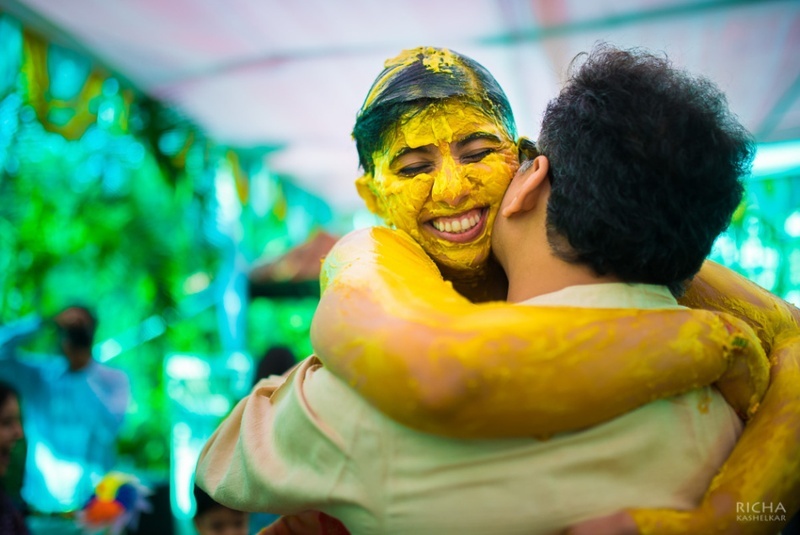 When we saw ace wedding photographer Richa Kashelkar’s recently added wedding Nirvi and Neel – held at Tote on the Turf, Mumbai – we were sold the minute we read the photographers experience with an off-beat bride like this one! 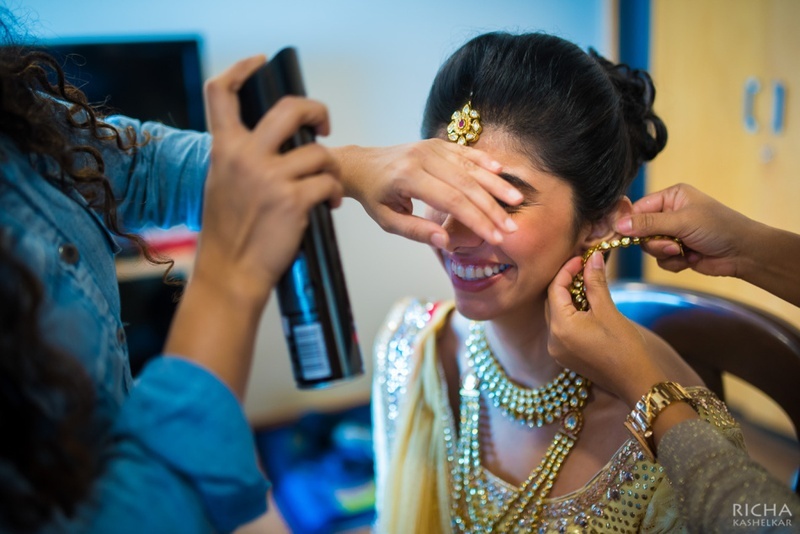 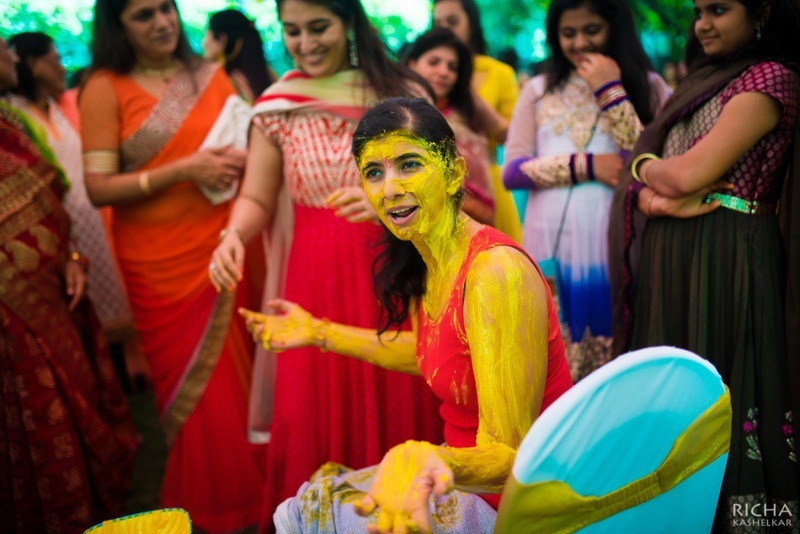 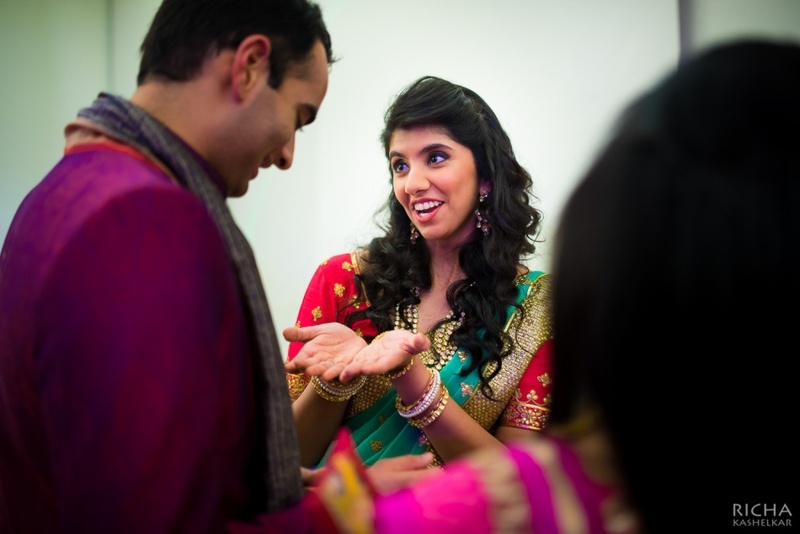 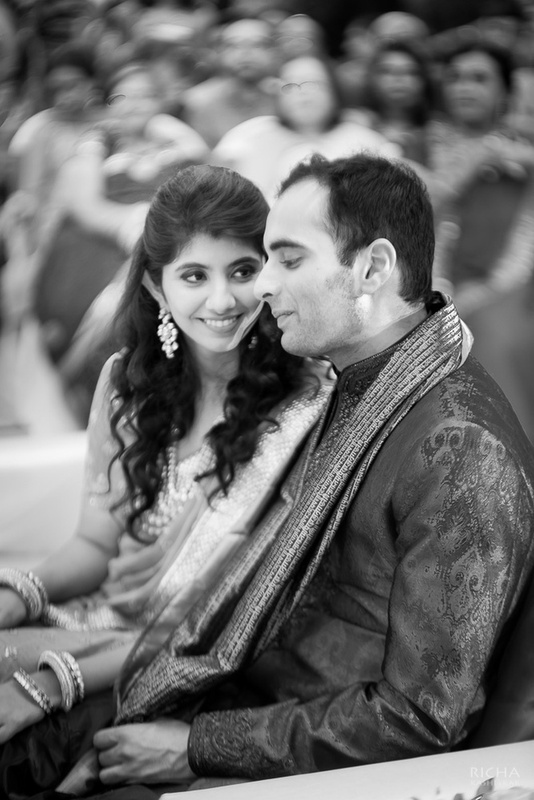 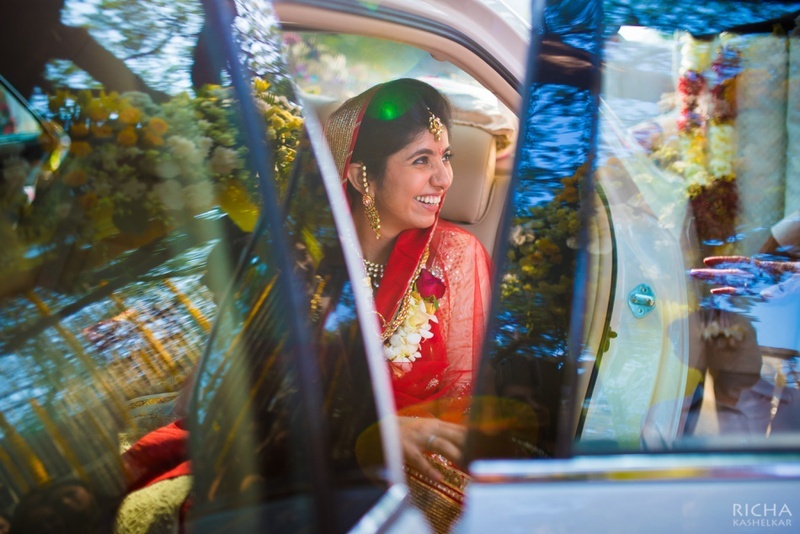 This stunning bride Nirvi, took the no-fuss, no-stress process. 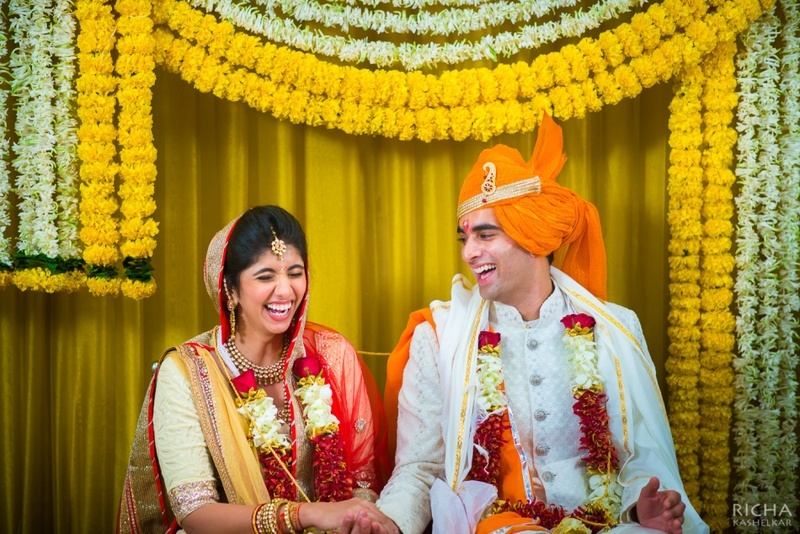 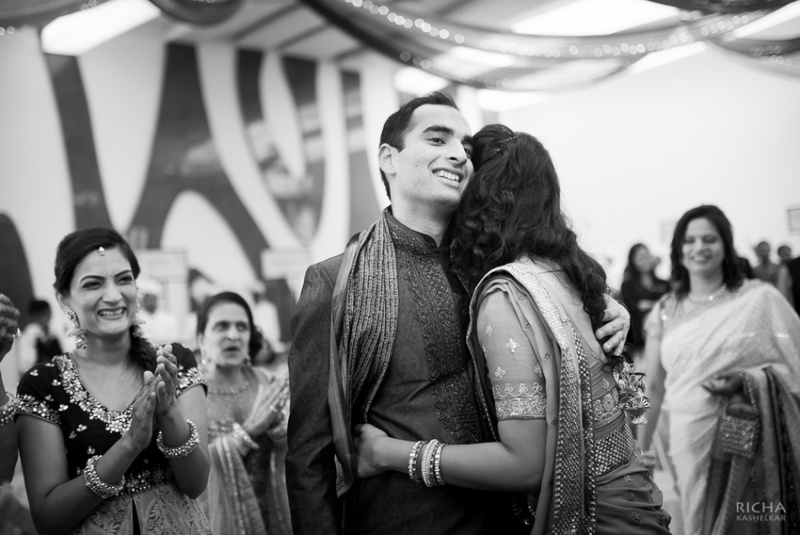 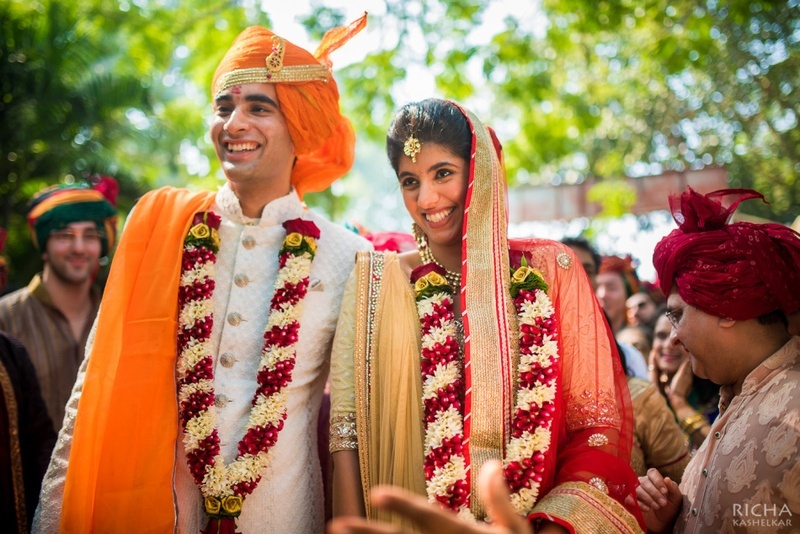 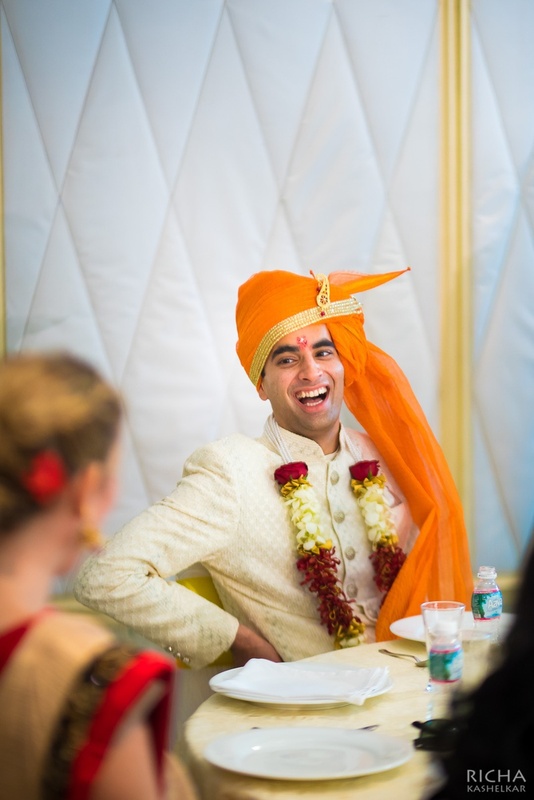 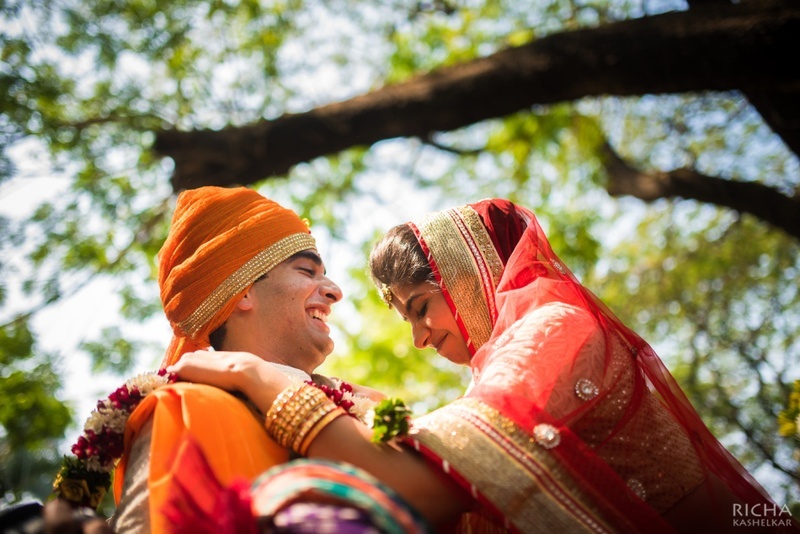 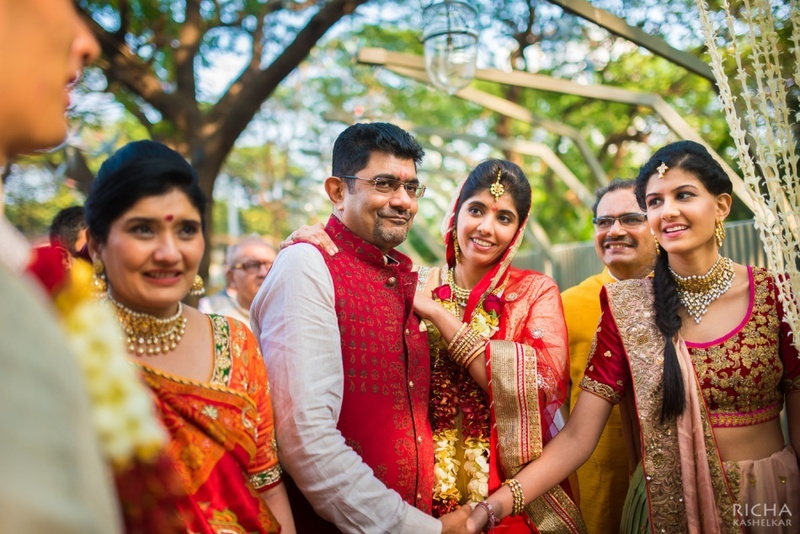 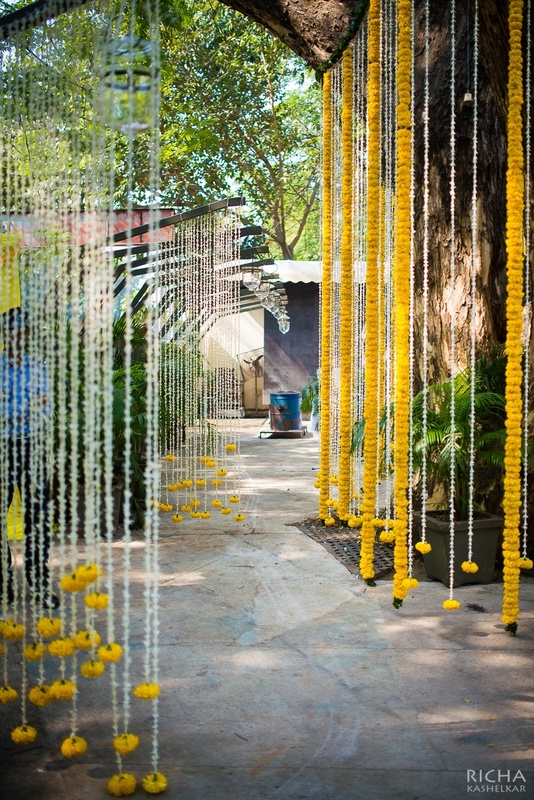 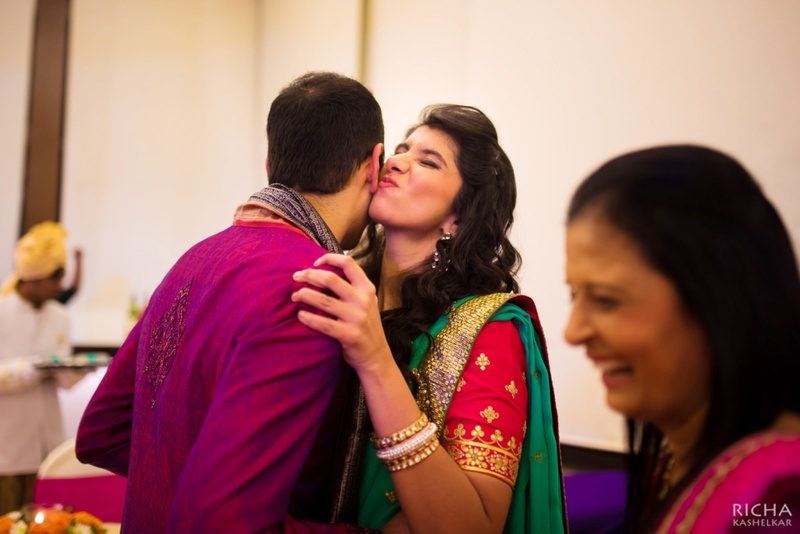 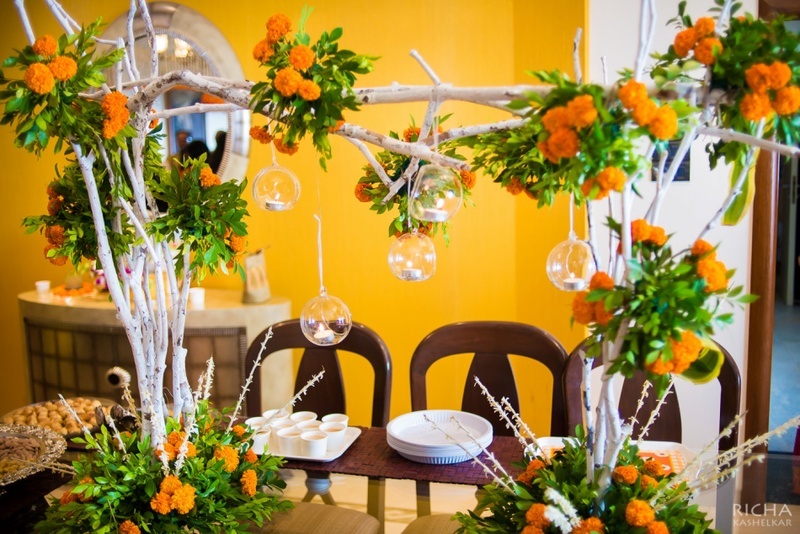 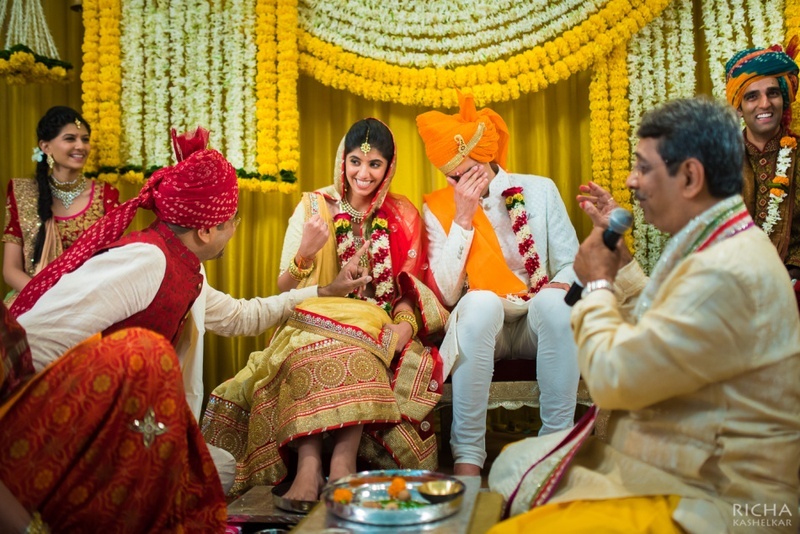 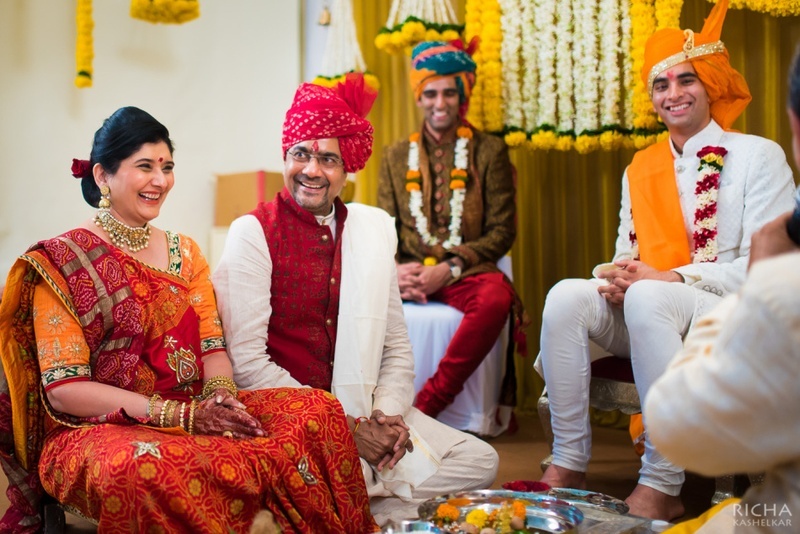 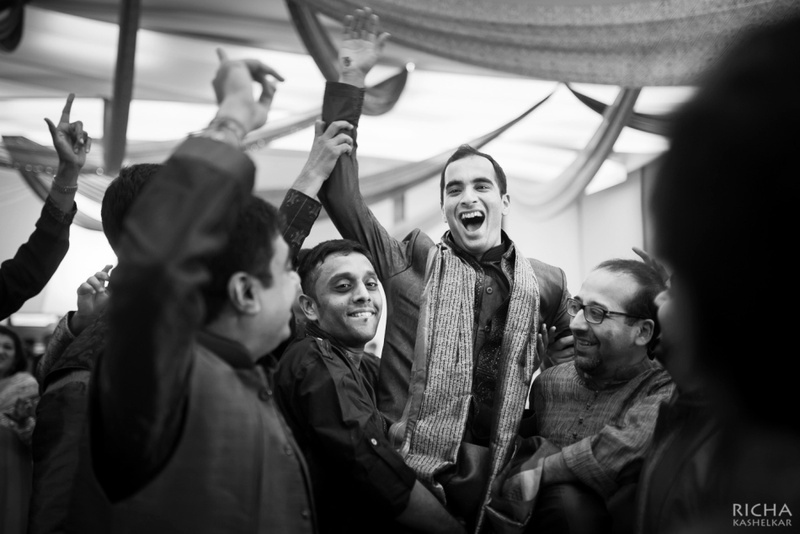 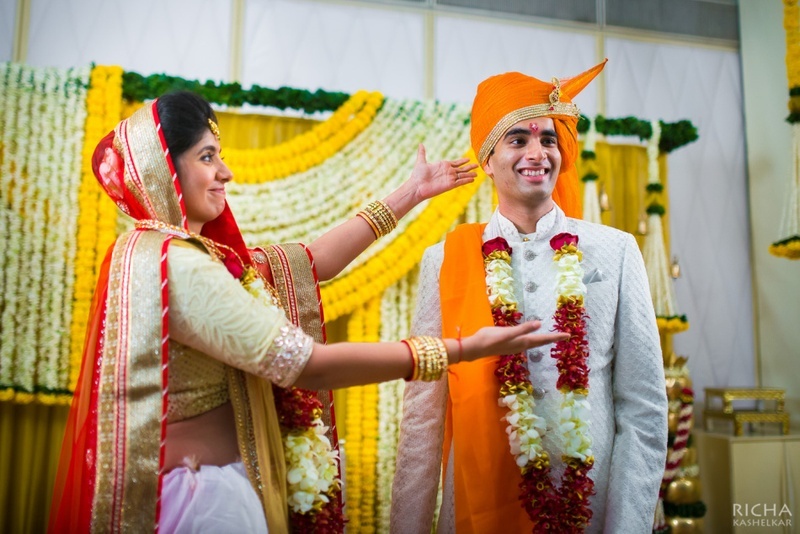 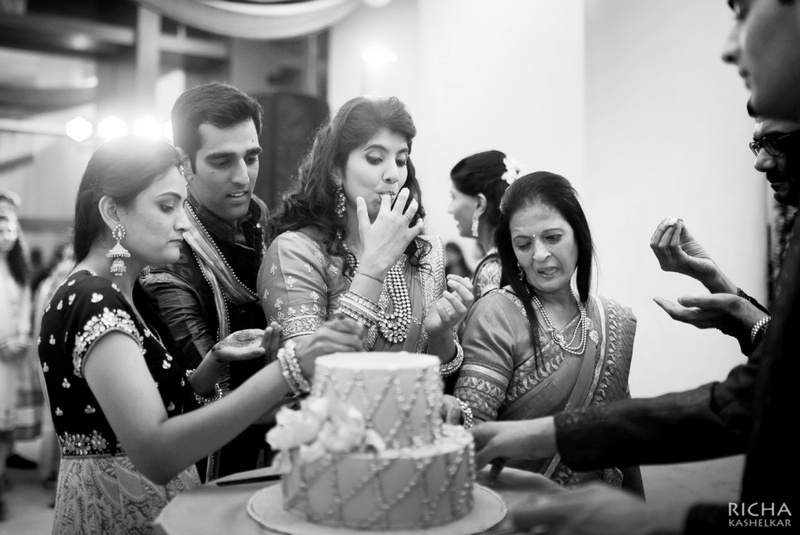 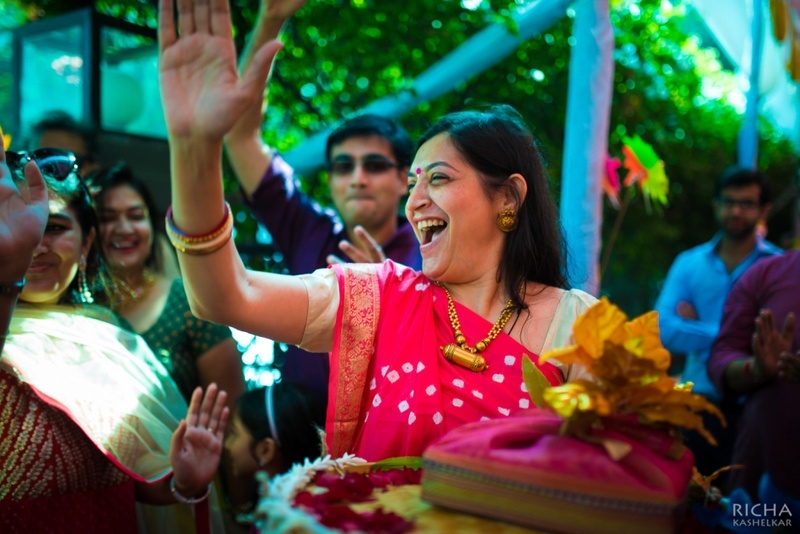 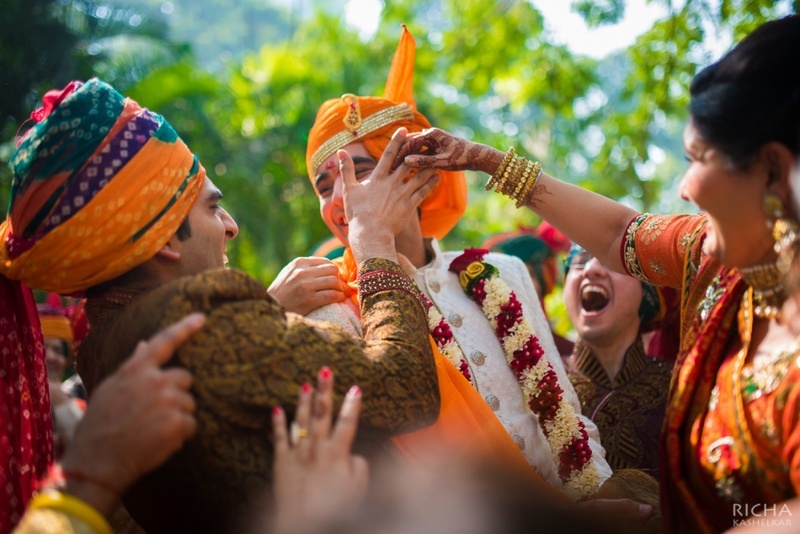 This Mumbai wedding was all about the love! 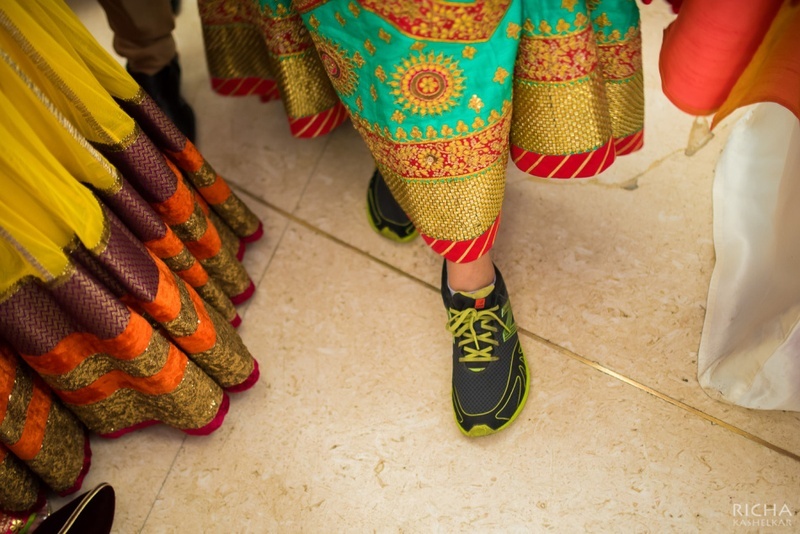 A bride who wore sneakers under her lehenga for the sangeet cause “why would anyone wear uncomfortable footwear that’s not going to be seen anyway? 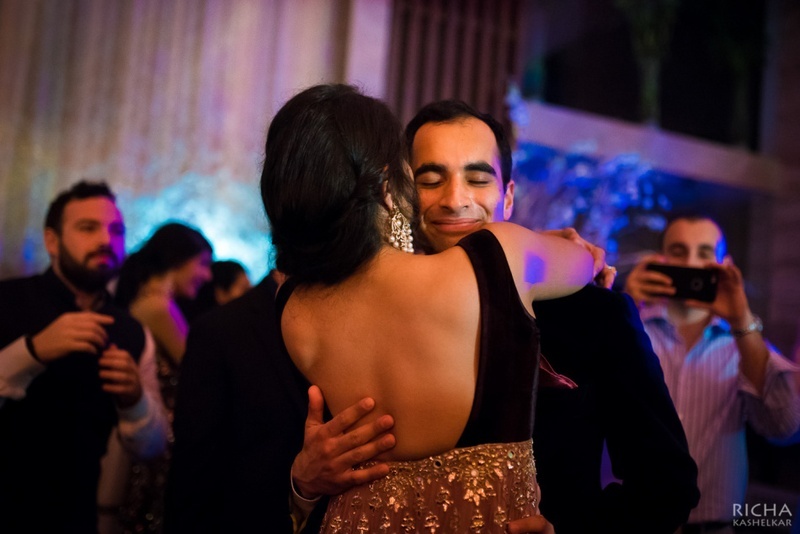 Also, I really want to dance today”- says Nirvi - GAME POINT. 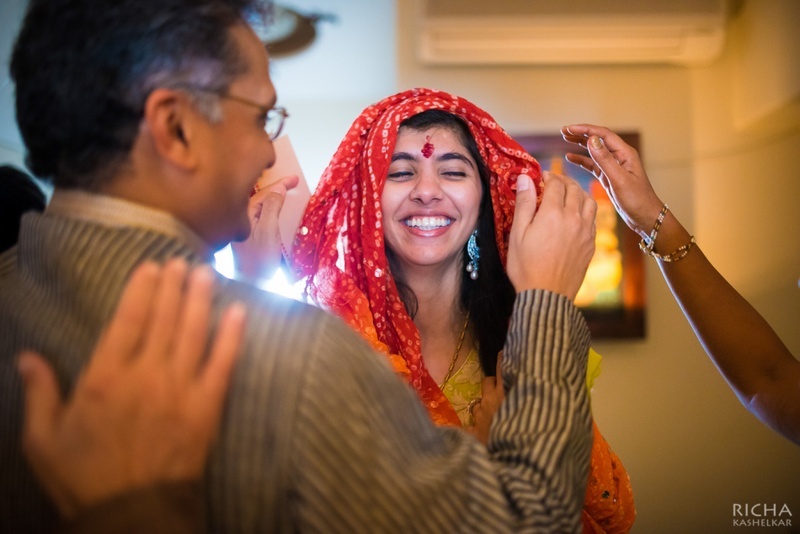 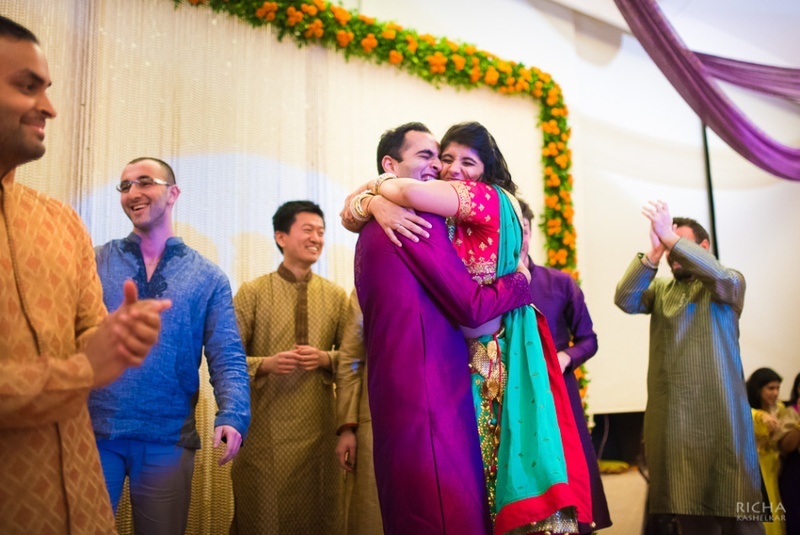 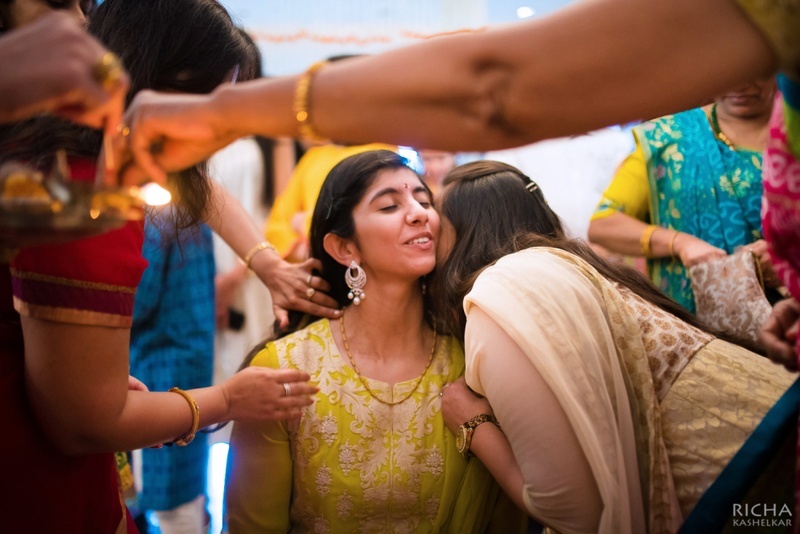 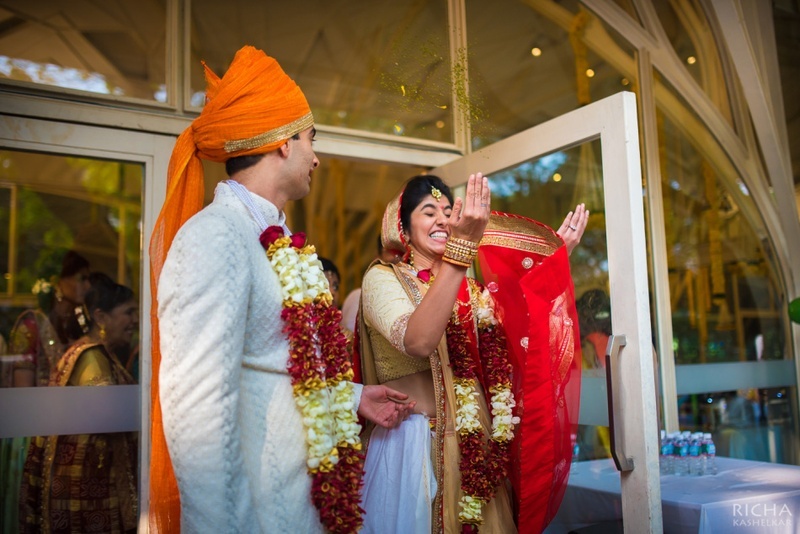 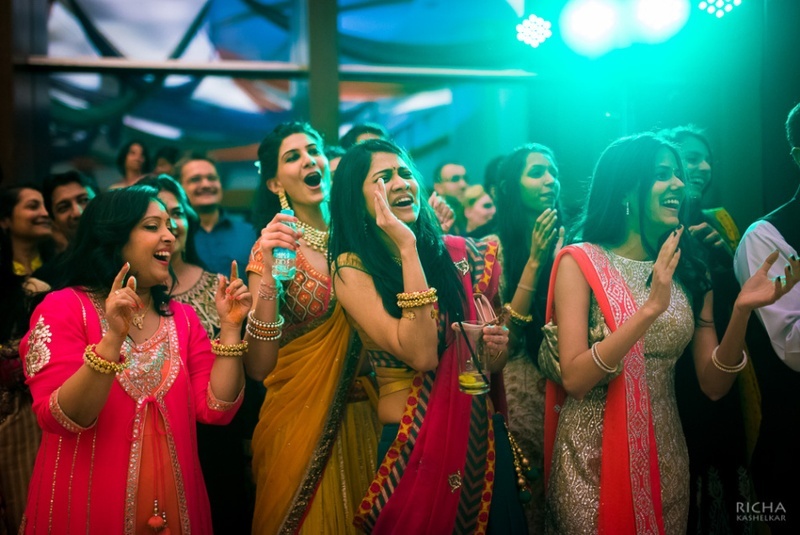 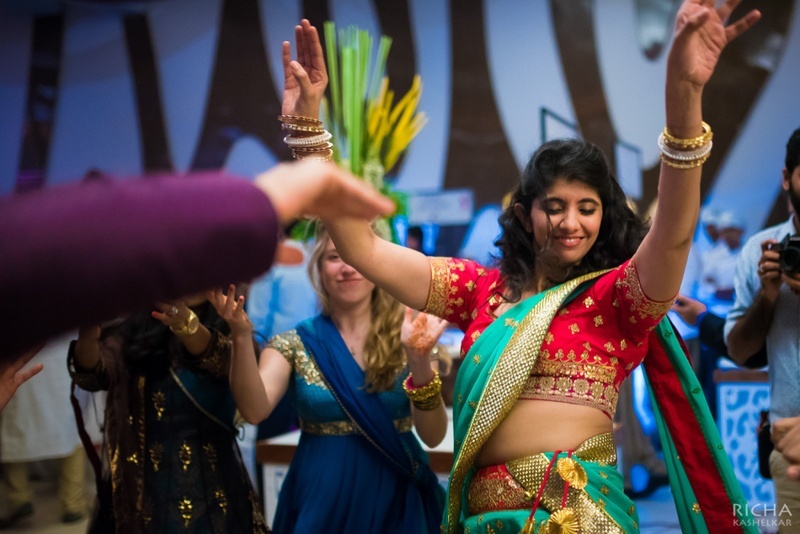 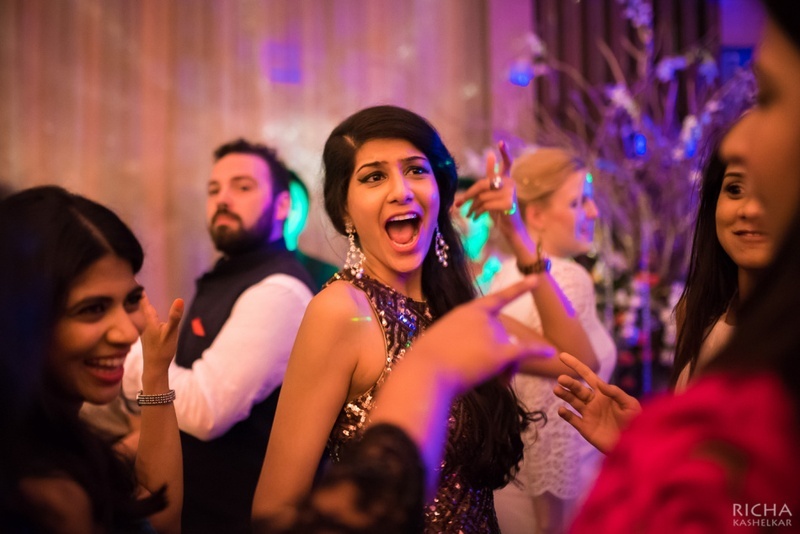 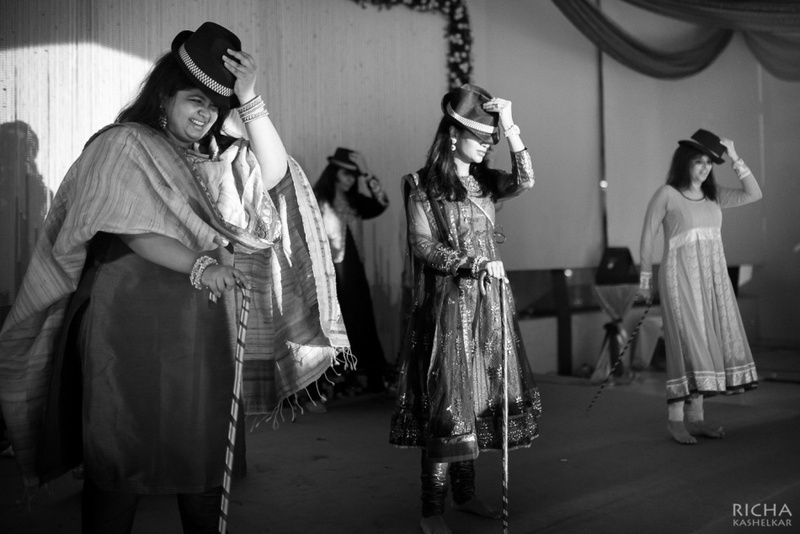 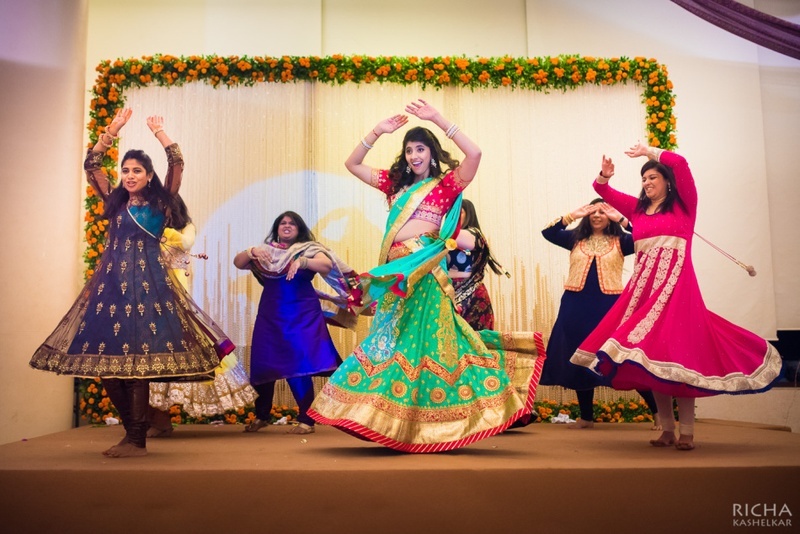 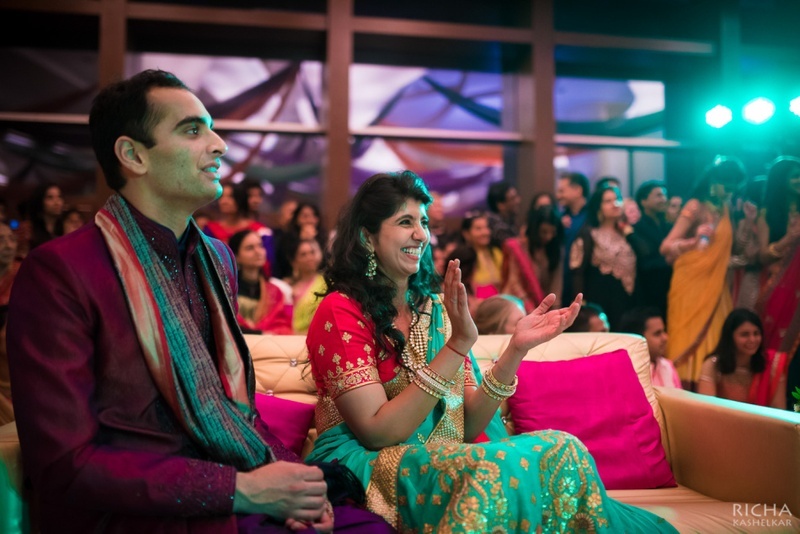 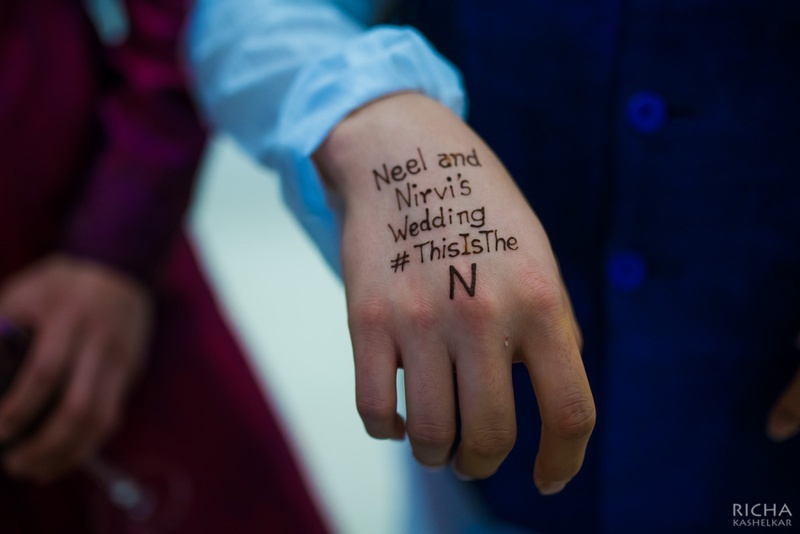 From choosing to dance to Prabhu Deva’s Muqabala at theSangeet ceremony, to having NO mehndi on her arms cause she just didn’t like it – Nirvi has set a standard with her do-only-what-you-love mantra wedding! 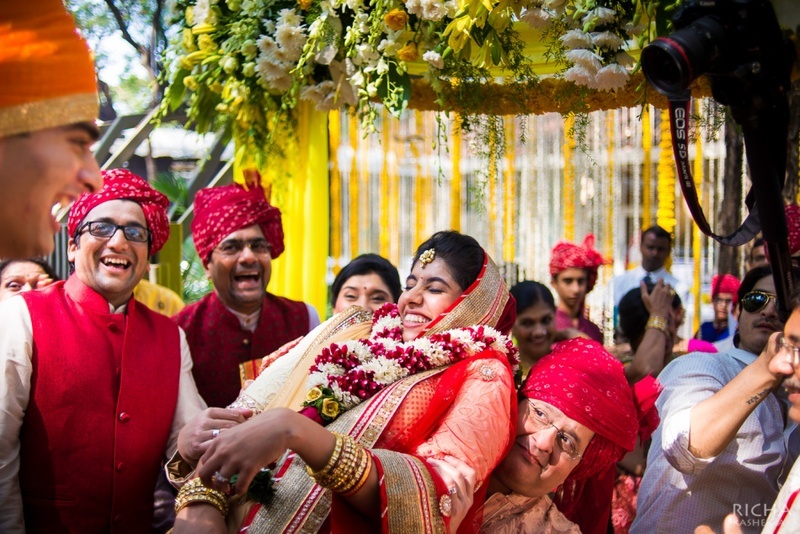 Tote on the Turf, Mumbai saw this couple’s wedding in all its raw happiness. 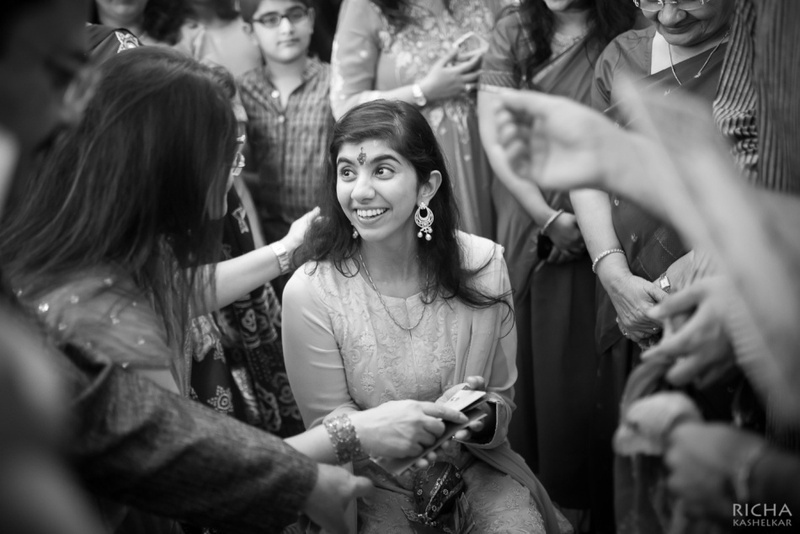 On looking at herself the first time after she exclaimed - "Wow, I look amazing!" 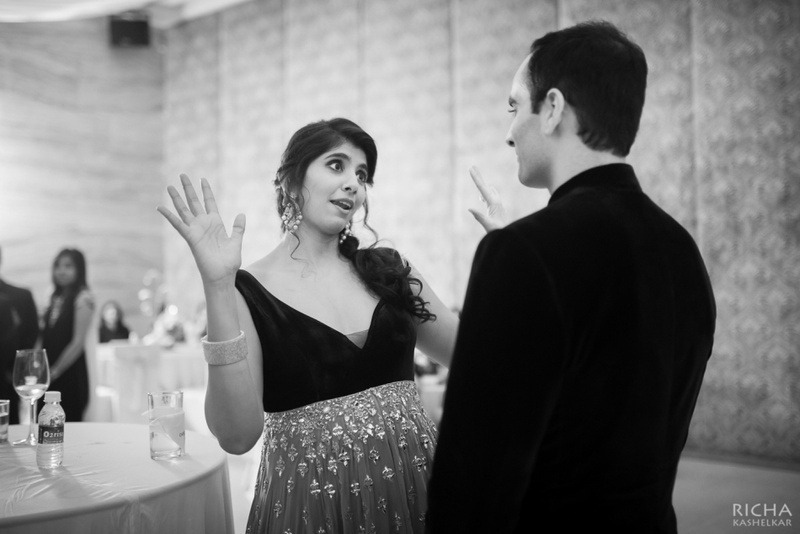 - now that's the kind of sassiness we love! 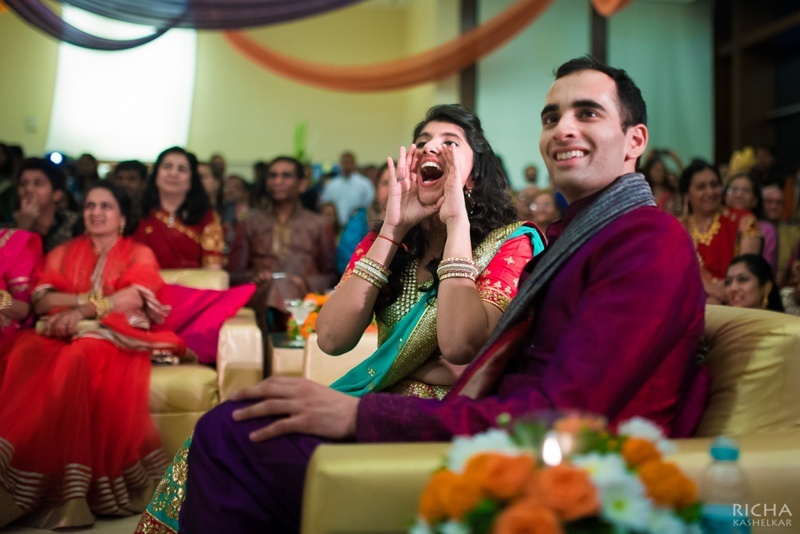 Shouting her way out, and why not?! 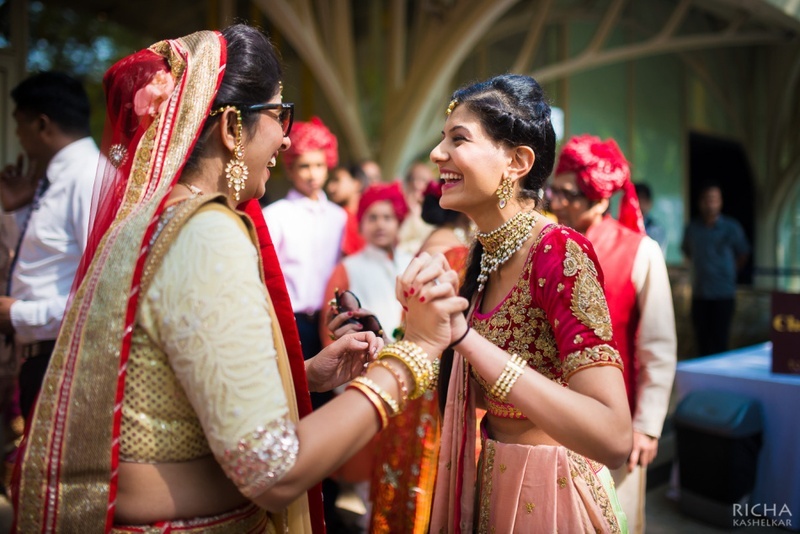 Dressed in a aqua and red lehenga with kundan jewellery. 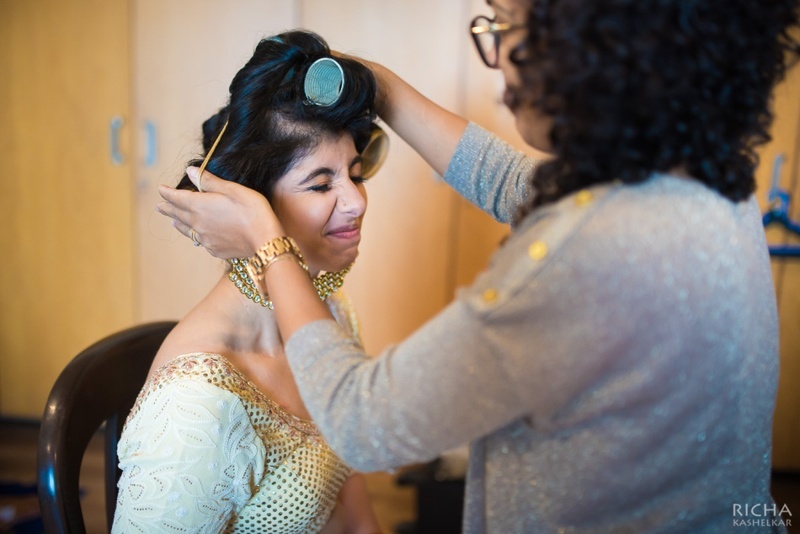 She chooses comfort over vanity! 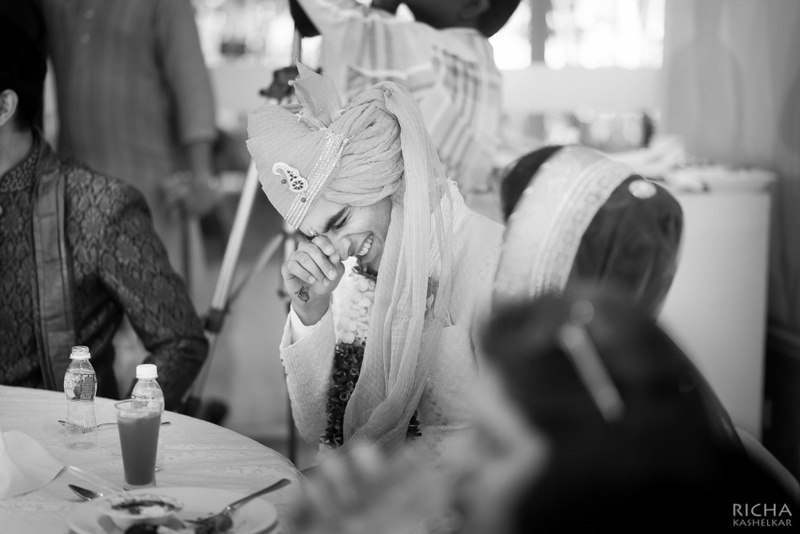 So natural, So candid, && So perfect! 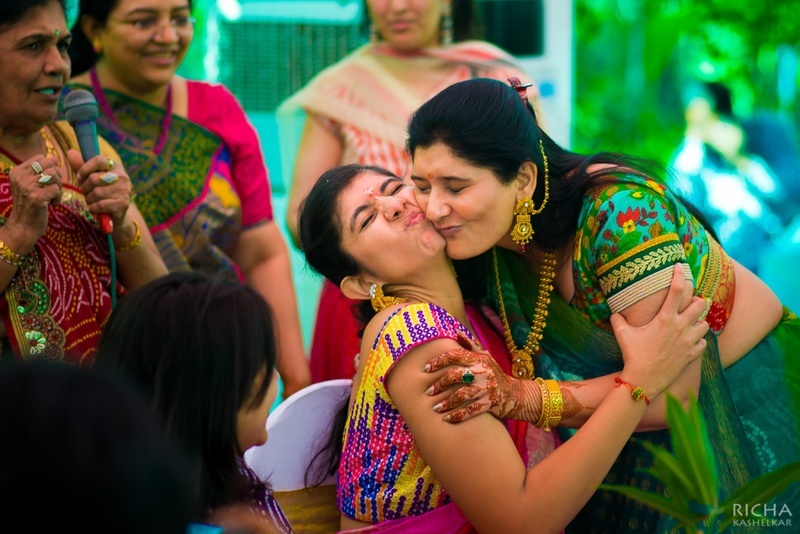 Love much? 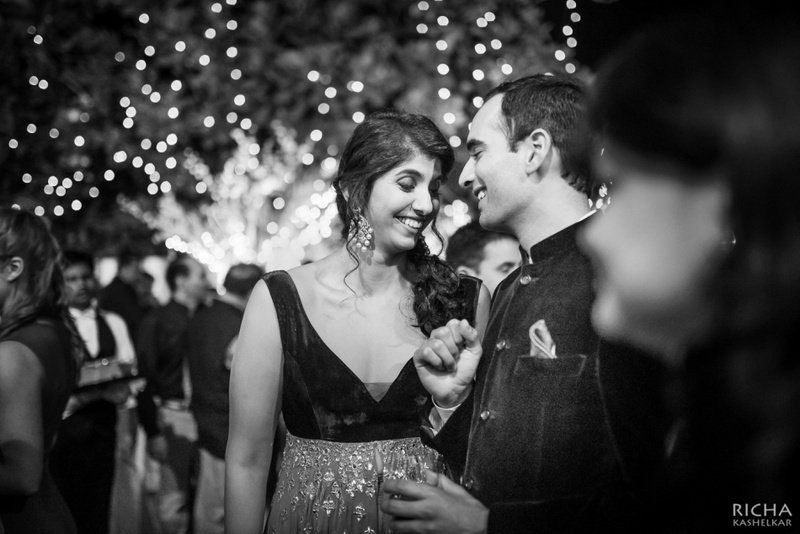 We can't handle so much cuteness in this shot! 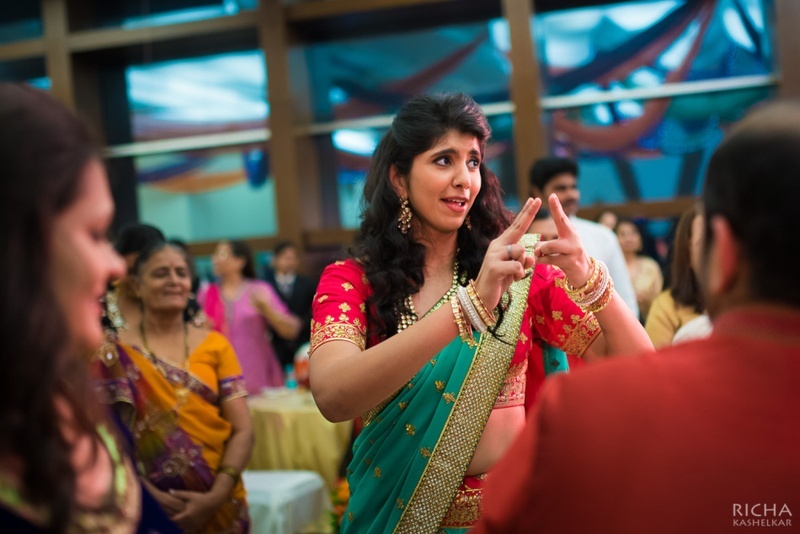 Muquabla song by Prabudheva for a sangeet ceremony?! 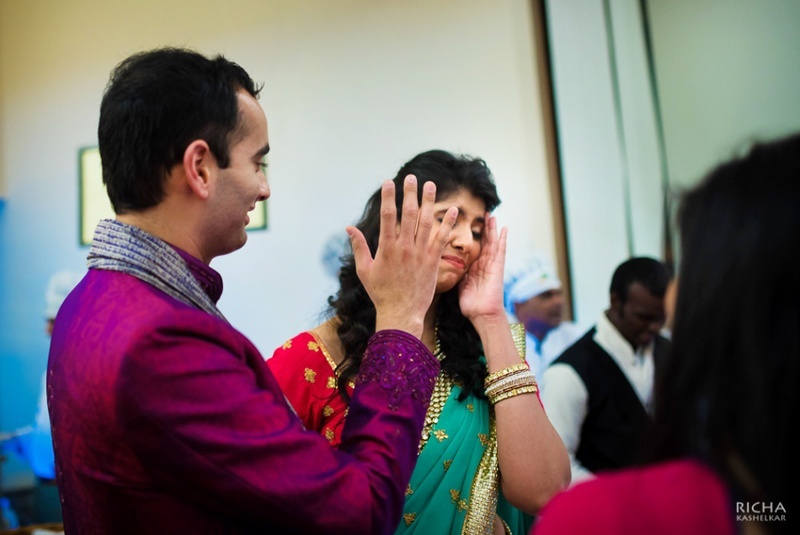 - We're knocked down! 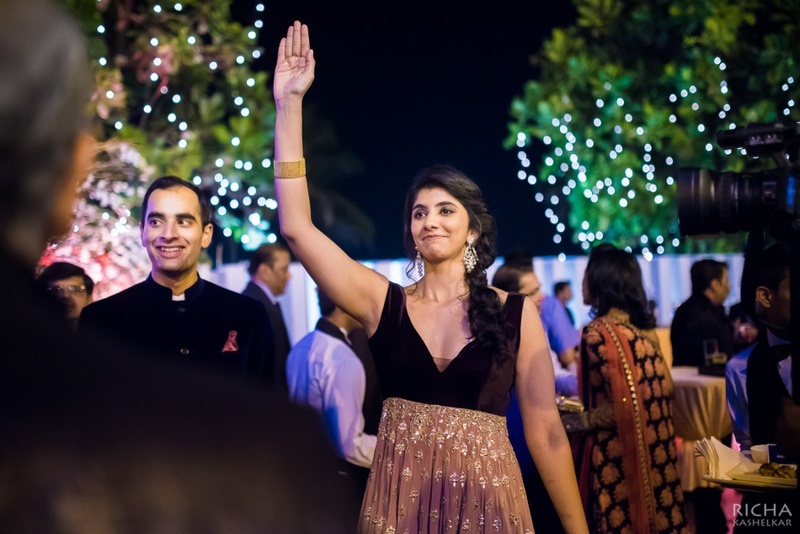 Reigning like it was for her to do this, and who knows maybe it was! 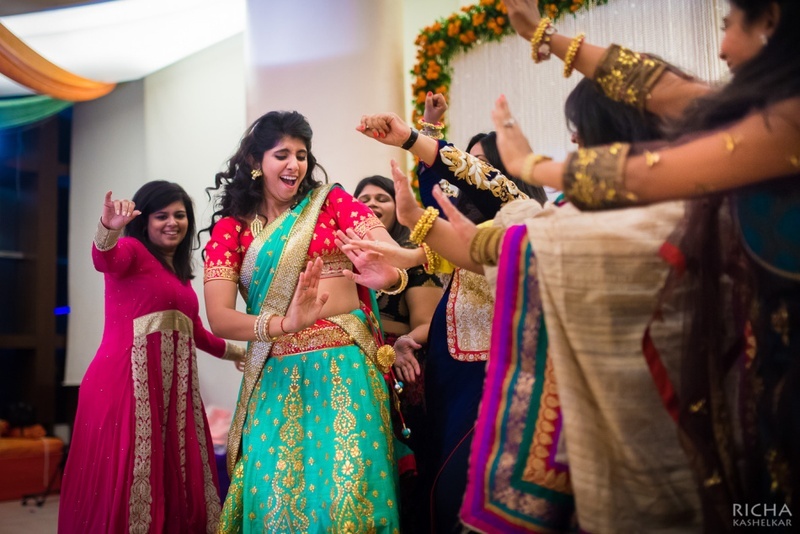 Carrying that lehenga with so much swag and style! 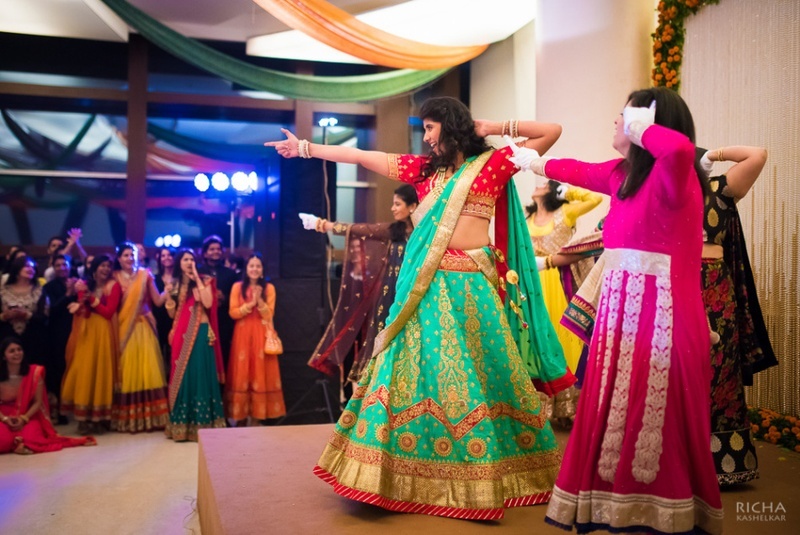 This coordinated twirl shot and Nirvi's expression is giving us an all time high! 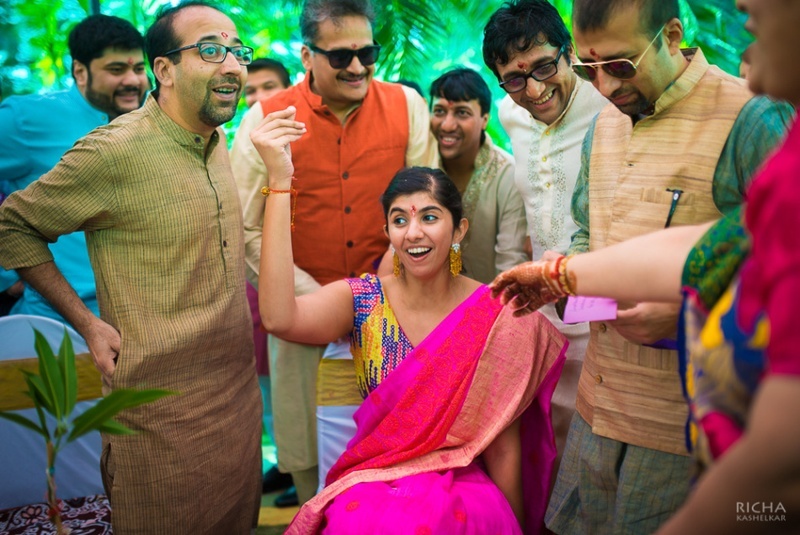 Is she the new wedding cool?! 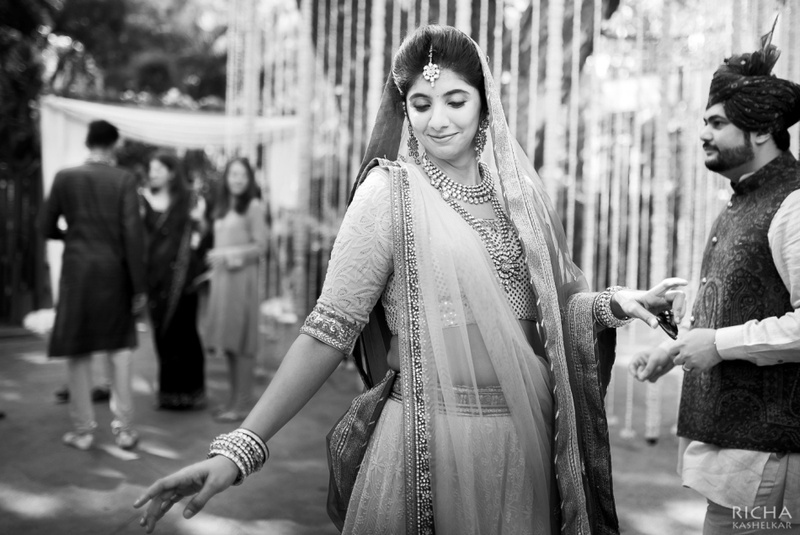 Cream choli embellished with beads and adornments. 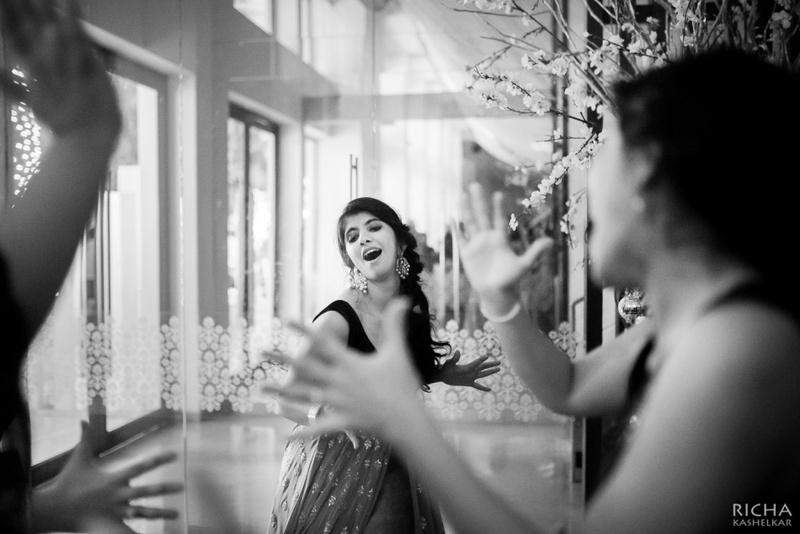 Candid action, caught by the ace Richa Kashlekar!